Kari Silvester and some other members continue to monitor pollution incidents on the Mill Pond, in Glassmill Lane. Many of these are due to mis-connections of waste water outlets in parts of the surrounding areas. Kari has been liaising with the Environment Agency (EA) on such incidents. The latter have identified this as a misconnections ‘hot spot’ and are working with Thames water to identify and eliminate them. cannot provide further details but as this location was upstream of Glassmill Pond you should hopefully see an improvement to the water quality there, although the Environment Agency and Thames Water still have a long way to go in locating all the sources of pollution leading to this point. It is good news nevertheless and please let us know if you have any questions. There was yet another pollution incident on the River Ravensbourne, at Mill Pond, Glassmill Lane on 29 July. This appeared to be sand, like an earlier incident, and which covered most of the pond surface. This was reported to the Environment Agency (ref: 1544086) by a Friends member. The long term environmental impact of this latest incident is currently uncertain.The pollution has subsequently been moving down stream. We await the result of this latest EA investigation. Early last Friday morning (31 March) a serious pollution incident was spotted on the Mill Pond, Glassmill Lane, Bromley BR1. This was immediately reported, by one of our members, to the Environment Agency. A large quantity of oil was covering the water and its margins. Since then Thames Water contractors have been busy on site installing temporary booms to restrict the wider contamination of the River Ravensbourne, as well trying to remove the oil. To date at least one tanker full of oil has been sucked up. Unfortunately oil has also contaminated both the mud and the island. This will be extremely difficult to clean. The impact on the fish and other invertebrates in the water has yet to be determined. Already several nesting Moorhens have died as a result of this pollution, and the RSPCA are continuing to monitor the situation. This historic Mill Pond is important both for its heritage and environmental features. It is an important nesting site for ducks and is also visited by grey herons, kingfishers, etc. 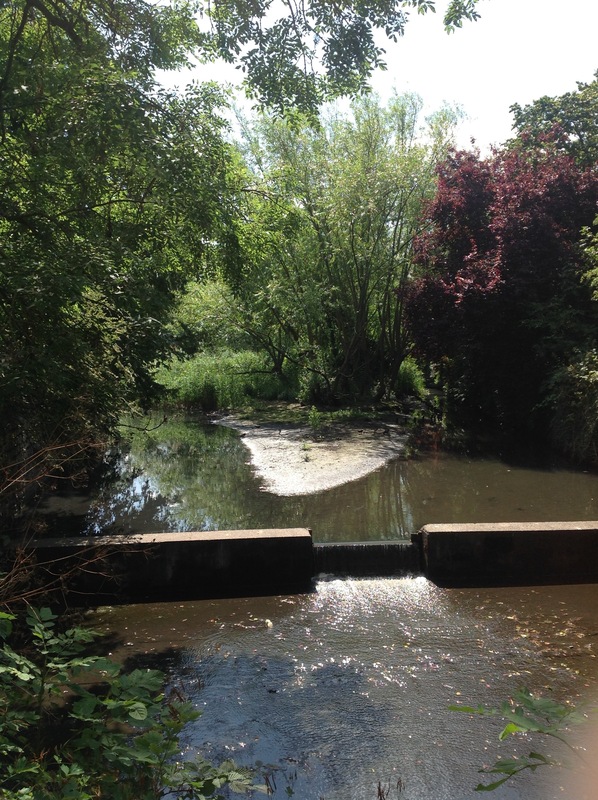 Part of the River Ravensbourne catchment, we were already working with Thames21 and other stakeholders, to access grant funding to enhance this important space. On Sunday 4th October Thames21 led the first working party of the autumn. Previously we were constrained by nesting birds. 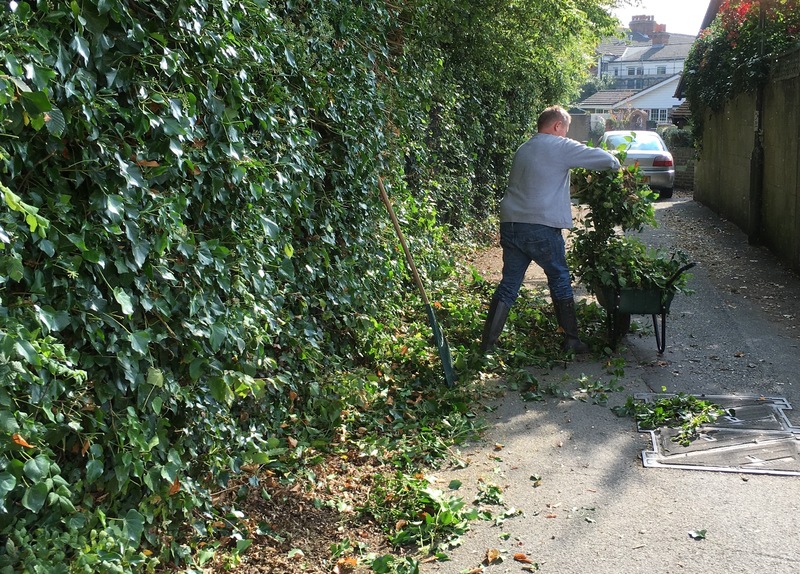 About ten volunteers cleared some undergrowth from paths and other key areas. Also the water level was temporarily lowered to increase water speed and so help to clear some silt around the weir. The next working party will take next month. On Sunday 13th September several members, and local people, attended a site meeting to discuss comments made by various parties, including the Environment Agency, to the latest Thames21 plan for the restoration of this historic former mill pond, off Glassmill Lane, BR2. Topics covered included pollution control, water flow & flood control, a revised weir, and biodiversity. Thames21 are aiming to finalise project proposals and estimated costs by year end. In the meantime working parties will be arranged to maintain and tidy up existing vegetation, etc pending the project implementation.